One sunny Saturday this past September, my friend, Lindsey Aspelund, and I decided to do what many had encouraged us to do all summer: hike the long and treacherous way to the Mendenhall Glacier ice caves. We didn’t know it at the time, but BuzzFeed.com would later rank the ice caves as one of 27 Surreal Places to Visit Before You Die. Lindsey is the quintessential Alaskan woman – gutsy, level-headed, determined, and brilliant – so I knew she’d be a terrific hiking partner. Plus, she’s one heckuva photographer. You’ll see many of her breathtaking images from our trip later in this blog, and I encourage you to check out her website for more eye candy: http://www.lindseyaspelundphotography.com. Below is a smörgåsbord of photos from our eight hour round trip adventure which began unassumingly enough with a leisurely hike on the well-maintained West Glacier Trail. The area was teeming with mushrooms and puddles - a nice appetizer to what lie ahead. Then came the climb. 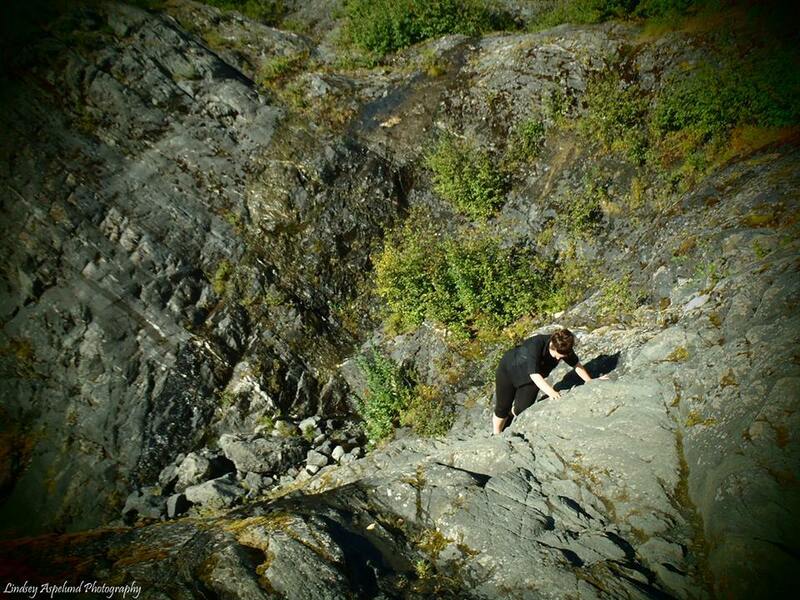 I had no idea I could be a rock climber until that day. What an ego-boost! Believe it or not, we climbed all this, too. When I look back at this photo, I still can't believe we climbed THIS, of all things. 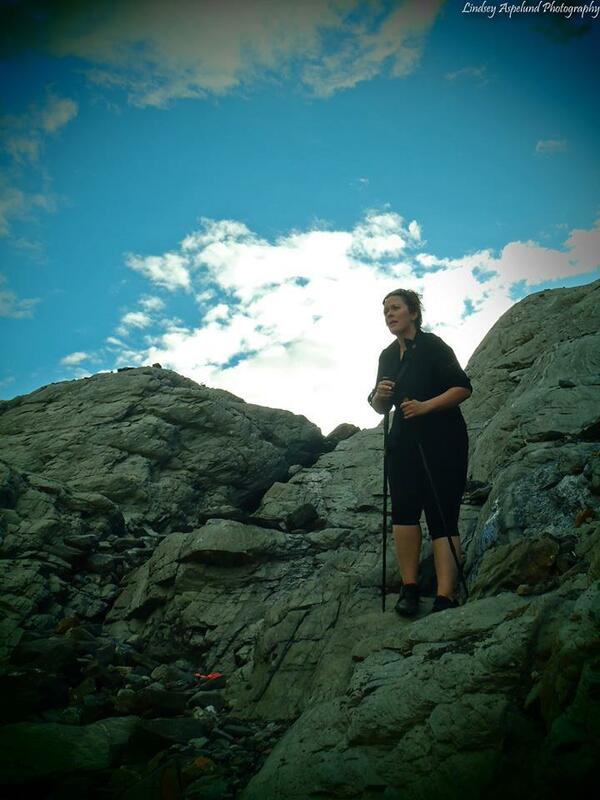 At the top of our first climb, a rocky heart greeted me and Lindsey. I'm not sure who put that lovely surprise together, but thank you! Surprisingly, we had cellphone service this close to the glacier. After scaling the highs and lows of the rock peninsula, we saw expansive views of the mighty Mendenhall Glacier, Mendenhall Lake, and Nugget Falls. Once the glacier was close in sight, we realized we weren't really all that close to the glacier caves. In fact, it was another 30 minute trek across the ice from the viewpoint pictured below. Brave souls at the face of the glacier. A deep crevasse along the ice where we walked. We used YakTrax as crampons. 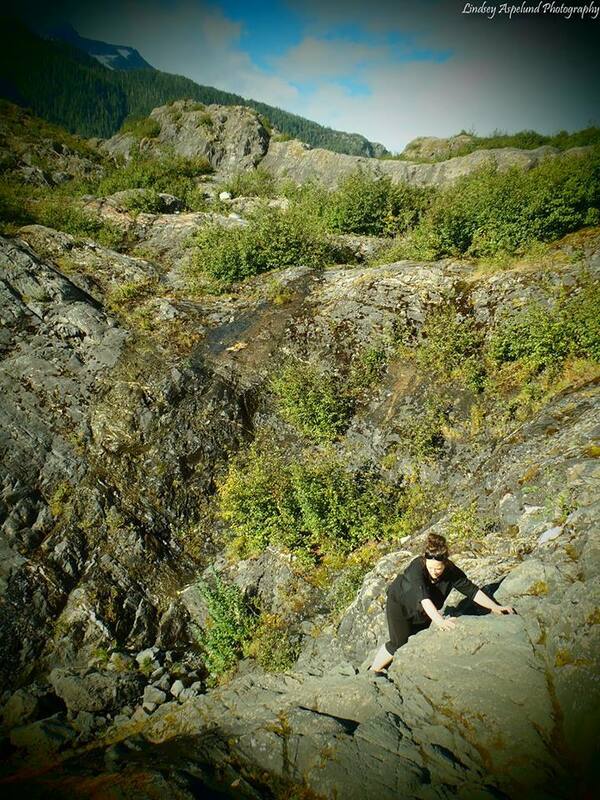 This is the face of boulders and loose rock we scaled (read: slid) down on our way to the entrance of the ice caves. This location was extremely eerie for me because we were completely out of sight with towering rock on one side and glacier ice on the other side. White knuckle moment for me! It was one of those “I don’t know if I can do this” moments. You know, where your pulse pounds and your mind spins, when you think you can’t continue, but you just do. The excitement and sheer terror compelled my curiosity and pushed me forward. The pep talk from Lindsey helped, too. 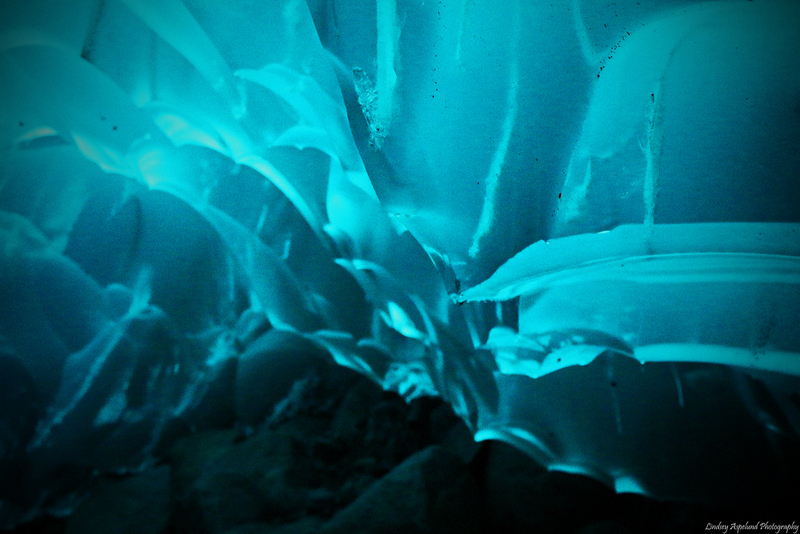 I just had to see the inside, the blue expanse of the caves of Mendenhall Glacier. 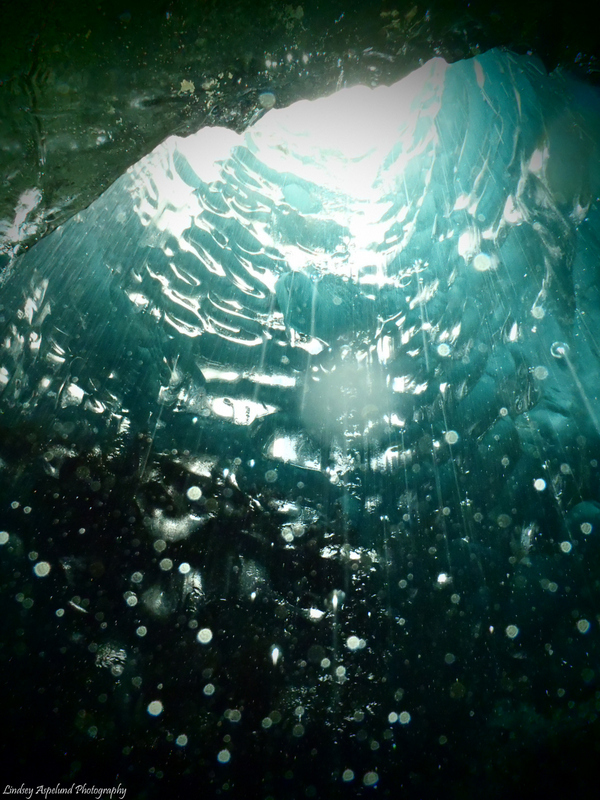 As we approached the ice caves, I found myself holding my breath. The video and images below will show you why. Lindsey didn't let the downpour inside the glacier deter her from taking more shots. After about 20 minutes exploring one of the most unpredictable environments known to man, I found myself remarkably breathless – and still wanting more. It was a long and tiring hike back to the main trail. 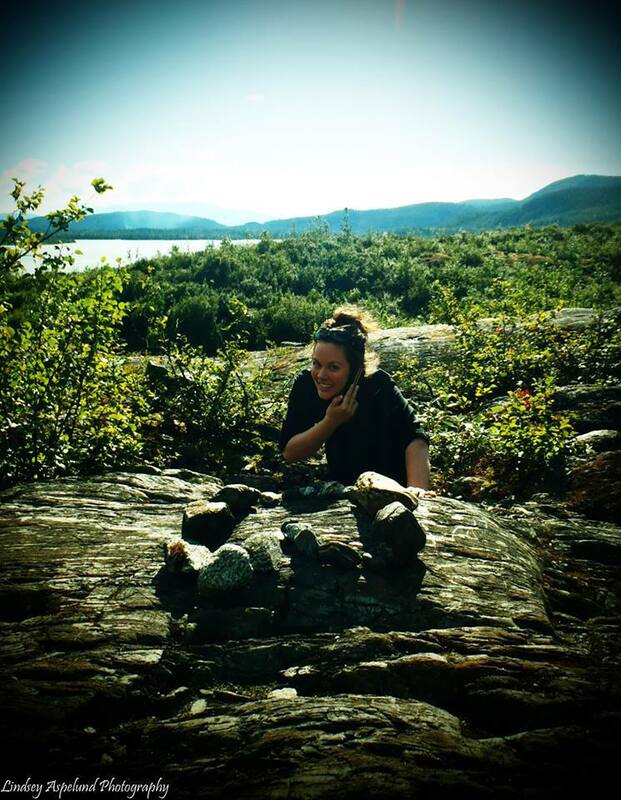 But along the way, we were giddy from our epic adventure – and already planning for next time. Rethinking my decision to wear Puma sneakers instead of Merrell hiking boots. On our way to the Island Pub for some celebratory pizza! 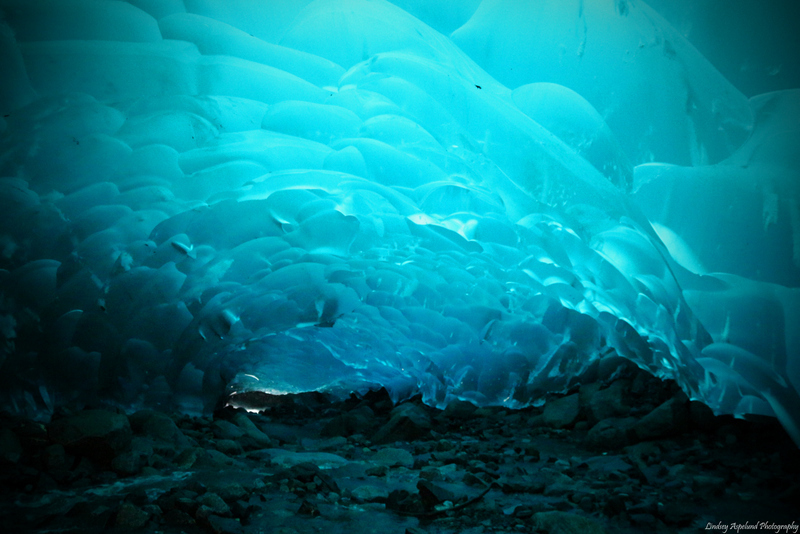 For tips on how to get to the Mendenhall ice caves, check out Into Juneau's Azure Ice Caves. For a glimpse into how things might go wrong along the way, check out this rescue story.